When accidents happen or criminals come knocking, make sure you raise the alarm at the touch of a button with the Vox 911 app. 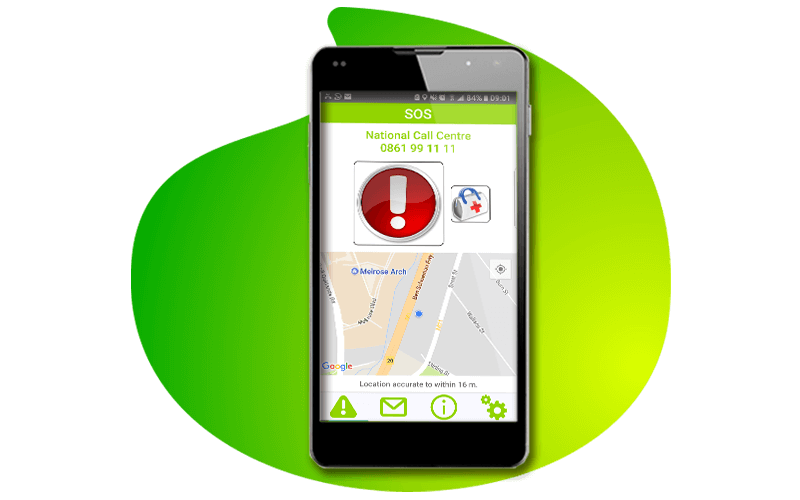 By turning your smartphone into a portable emergency panic button and tracking system, Vox 911 instantly notifies relevant emergency services of your situation, as well as alerts your friends, family and neighbours. Whether it’s medical, roadside or armed response assistance you need, load multiple family members under one account and get SMS notifications whenever an alert is received. While you can’t prevent the inevitable, you can be prepared when disaster strikes. Vox 911 is available for download from iTunes and the Google Play Store. Notify friends, family and emergency services at the click of a button. Emergency contacts will be sent the correct location from where the panic alert was activated. Connect all family members for a single monthly household fee. All calls are recorded and can be forwarded to friends or family. From R99 per household per month. What do I need to activate the service? Subscribe to the Vox911 service, download the Vox911 App from Google Play or Apple App Store and enter your mobile number to verify your account (up to 5 Mobile numbers can be registered to 1 household account). In an emergency, you (the Vox911 member) press the emergency button on your cellphone. The call rings 3 times at our monitoring centre and is then disconnected (no charge). Our system then notifies (via SMS) all the members nominated as alert recipients that you are in urgent need of help. We’ll contact you and send out a response vehicle to assist you.